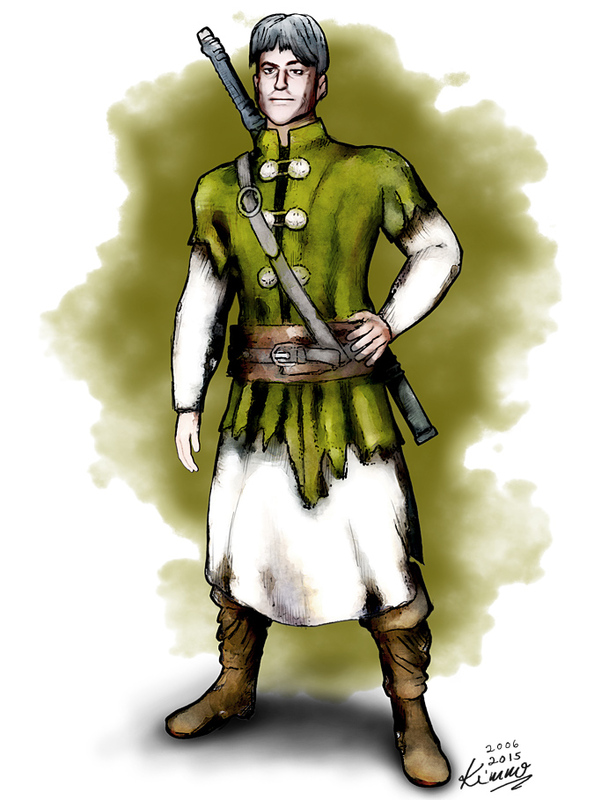 A wealthy merchant from a prominent merchant family, Berthold Wor has nonetheless embraced a life of adventuring. While he would have the means to live surrounded by wealth and luxury, Berthold seems to have adopted a life of willful poverty. Or so one would assume meeting him travelling seemingly aimless from city to city and village to village seeking wrongs to right. In truth his poverty is merely a facade and his aimless travelling is quite far from being aimless.